In just three months’ time, on July 1, all licensed Moscow taxis will have to be painted yellow. The kaleidoscope of taxi colours which followed the end of the Soviet Union and the rise of entrepreneur cabbies and imported western cars ends when the last five-year licenses for multi-coloured taxis expire. 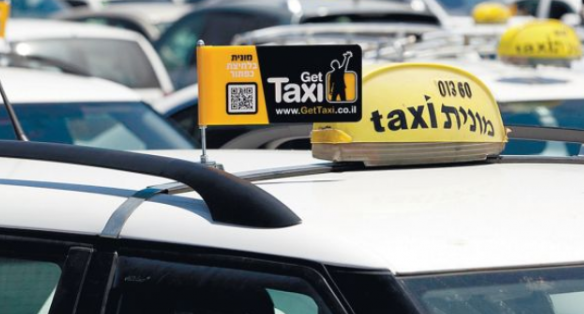 Yellow is not the only uniformity to be achieved by the city transport administration under Mayor Sergei Sobyanin, as the largest of the city cab companies, ASAP, has gone bankrupt, and its owner has disappeared in the direction of the island haven of the Seychelles. There, taxis come in many colours. 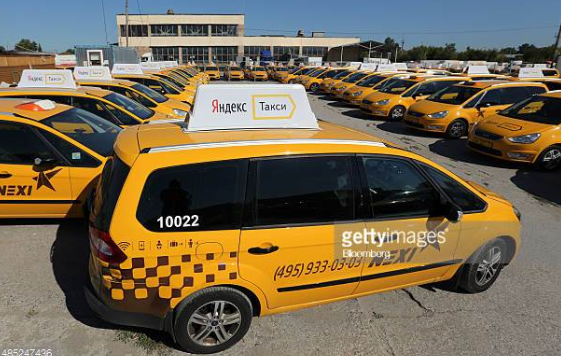 If everything goes according to the Sobyanin plan most Moscow taxi drivers believe the mayor has agreed to, there will soon be a near-monopoly of the city’s taxis by the Yandex group controlled by Arkady Volozh. ASAP, with an officially estimated taxi park of about 3,000 cars, is facing debt and bankruptcy claims in the Moscow Arbitrazh Court totalling Rb285.7 million (about $5 million). ASAP operated under the brand-names Nexi and Grandee. The most recent court claims were filed in March by VEB-Leasing, the state-owned lender. The court papers claim ASAP owes Rb16.6 million ($291,000) in interest and lease charges. Like the taxi company, VEB-Leasing is suffering itself from the economic contraction of the past three years, as the number and value of new lease agreements dwindle, clients default, and losses grow. VEB-Leasing isn’t ASAP’s biggest creditor. Last December Yandex Taxi and Gett (formerly Get Taxi) filed their claims against ASAP. 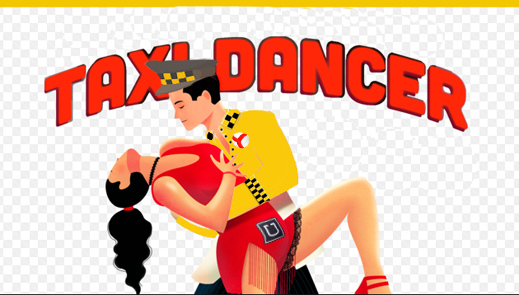 Gett says it is owed Rb190.5 million ($3.3 million); Yandex Taxi, Rb57.8 million ($1 million). ASAP owes them for advertising and online order and despatch services. In Moscow they are the dominant aggregators supplying cab companies and drivers with the order, reservation, despatch and routing services operated in the old days by taxi company control- rooms. Yandex Taxi agreed last year with Uber of the US to create an enlarged taxi operation for an investment outlay of about $400 million, and with an asset valuation of $3.8 billion. 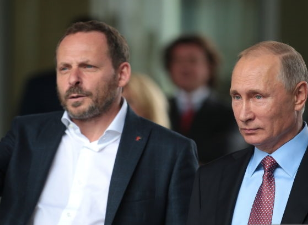 Yandex Taxi is a subsidiary of the Yandex group, registered in The Netherlands and controlled from Moscow by the chief executive, Arkady Volozh (right). According to Yandex filings at the US Securities and Exchange Commission (SEC), Volozh owns just over 49% of the voting shares in the company. With a current market capitalization on the NASDAQ exchange of $12.8 billion, Volozh has almost recovered from the collapse of his share price which began in 2014 with the start of the war in Ukraine and the US and European Union sanctions following. Volozh hosted President Vladimir Putin on a visit to the Moscow headquarters of Yandex on September 21, 2017, the twentieth anniversary of the company. Since 2015 Volozh has been a regular guest at Putin’s annual oligarch dinner. In 2010, Volozh had entertained then-President Dmitry Medvedev at Yandex’s California laboratory. Yandex financial reports indicate that last year the number of Yandex-controlled taxi rides in Russia more than doubled, compared to 2016. Revenues for Yandex Taxi jumped from Rb2.3 billion in 2016 to Rb4.9 billion in 2017, a rate of growth of 111%. 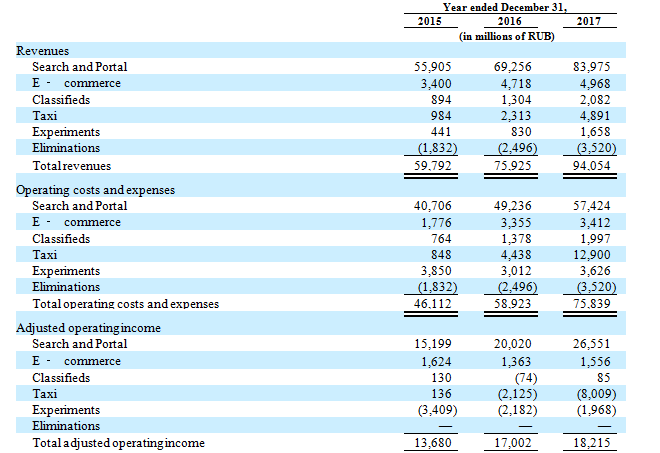 However, this came at a high cost for Yandex, according to this breakdown of the business segments in the company’s Form 20-F filing to the SEC, dated last week. To earn his way out of Yandex Taxi’s Rb8 billion ($140 million) loss last year, Volozh is betting he can do to ASAP and the other independent taxi companies in Moscow what Uber has been doing to Medallion Financial Corporation, the publicly listed New York company which finances taxi owners and operators; its ruin was forecast in this report from 2014. Since then Medallion has lost three-quarters of its market capitalization. Throughout the Russian taxi industry there is fear that Volozh has the backing of President Putin and Mayor Sobyanin to do exactly this. In January Russia’s Federal Anti-Monopoly Service (FAS) refused to consider a complaint from local competitor Gett that Yandex-Uber was undercutting market prices and aiming to monopolize the taxi aggregator market. Left to right: on September 22, 2014, Mayor Sobyanin signed with Volozh an agreement between the city and Yandex for cooperation in transportation, parking, education, and other city services. From Putin’s and Sobyanin’s point of view, the taxi oligarch Volozh is better capitalized, more easily taxable, and less criminal than smaller taxi company operators. According to this report by the Indian consulting company Ken Research, the aggregators have cut the price of taxi service sharply since 2014, while taking a larger share of the market from individual driver and small companies. The value of the Russian market, the Ken Research report claims, is growing by an average of 9% per annum, and in five years will reach an annual revenue value of over $13 billion. Ken Research based its valuations and projections on interviews with “Russia taxi industry veterans”. Other taxi company sources in Moscow say the same: the drivers are the victims of the ASAP bankruptcy, but everybody is the victim of the Yandex takeover. 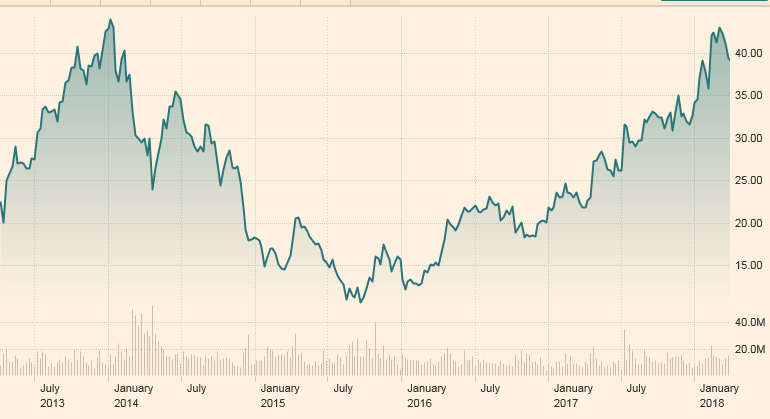 There are no precise data on how the market shares of Yandex and its rivals are currently divided. In February of this year, a Moscow business newspaper reported Bogdan Konoshenko, owner of the Formula taxi fleet and head of the transportation committee of the Moscow Chamber of Commerce, as saying Yandex Taxi presently has about 50% of the market; Uber 10%; Gett and the remaining independent operators divide up 40% in single-digit shares. Gett, which is operated by Israelis, reported in this promotion that Russia is the company’s fastest-growing market, but declined to estimate its market share. It is being financed by Sberbank and Baring Vostok Capital Partners. Baring Vostok doesn’t say how much of its money is exposed. Israeli press reports claim that Baring Vostok has provided $75 million, while Vostok Nafta (aka Vostok New Ventures), based in Stockholm, has invested $25 million. Since September 1, 2011, taxi drivers in Moscow are required to obtain a special licence. A total of 62,086 individual licences had been issued between 2011 and the start of 2016, according to this report by RBC datelined February 2016. Almost 13,000 of these permits were cancelled, leaving about 49,000. The Sobyanin administration’s target by the year 2020 is 55,000 cab drivers. RBC reported city statistics indicating that every day about 260,000 passengers hail cabs in Moscow, spending on average 650 roubles for the ride, covering about 16 kilometres over 26 minutes, at an average speed of 38 kilometres per hour. In Moscow 15,638 individual entrepreneurs and several hundred legal entities were licensed to operate cabs in 2015. There were a dozen companies with fleets of more than 600 cars; ASAP was the leader at 2,806 as of the start of 2016. At the time, RBC’s investigators found that ASAP was registered to a front company called Molberg B.V. set up in The Netherlands in January 2014. The second largest owner of the Moscow taxi fleets was SALT, with 2,787 cars. Its operating brand-name is MSK Taxi. It appears to be owned by Avilon, a large car dealership with notorious connections. These have been reported in the US, where court papers identify Avilon’s owners as Alexander Varshavsky, a naturalized US citizen, and Kamo Avagumyan, a Moscow businessman of Armenian origin. For the rest of the lurid story, click to open. The New York Supreme Court dismissed the case last October because none of those named, nor the business claims against each other, involved New York. Left: Alexander Varshavsky; center, the Avilon dealership in Moscow; right, Kamo Avagumyan with Igor Chaika, son of the General Prosecutor, Yury Chaika. Other major tax fleet operators, according to the RBC report of 2016, were Commander, New Yellow, and Formula. The Moscow city government also operated a taxi company of its own under the brand-name Mostaxi, with almost 700 cars. Because of undercutting of fares, a strike of 4,000 drivers was organized in February of 2015 against Yandex Taxi and Gett. ASAP has reported financial results for 2014 and 2016. There is no telling whether these data are accurate or comprehensive. Also, they don’t reveal how ASAP acquired almost 3,000 cars to boost its takings fivefold between 2013 and 2014. One dramatic disclosure – ASAP was loss-making from start to finish. According to this source, ASAP was founded in 2013 and took in revenues that year of Rb255.4 million ($8 million); costs were Rb241.1 million ($7.5 million). Operating profit was thus small; after tax and business expenses, the net loss was Rb36.2 million ($1.1 million). The next year business picked up, and revenues jumped fivefold to Rb1.35 billion ($35.6 million). Ignoring the rouble devaluation effect, the bottom-line loss almost doubled to Rb69.4 million. No report for 2015 is available, but in 2016 revenues were holding more or less steady at Rb1.34 billion. The net loss was Rb43.9 million. In short, ASAP became the largest taxi operator by increasing its vehicle pool several times over. It appears to have done so by borrowing and by leasing. But the cash has disappeared – off the books, and most likely out of the country. Moscow press reports indicate that in 2017 ASAP was owned offshore, not in The Netherlands but in the Seychelles. The controlling shareholder may be the ASAP general director, Alexander Starikov, but he is incommunicado, leaving behind him almost no trace. He has even managed to airbrush himself out of 22 cases in the Moscow arbitrazh court files. “In our opinion, the transport company ASAP, working under the brand NEXI must be outlawed and cease to exist.” That was reported on April 10, 2017. A year later, so it has come to pass. But Yandex Taxi isn’t another story.